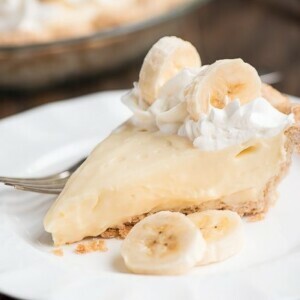 End your day with a slice of this silky smooth Banana Cream Pie! 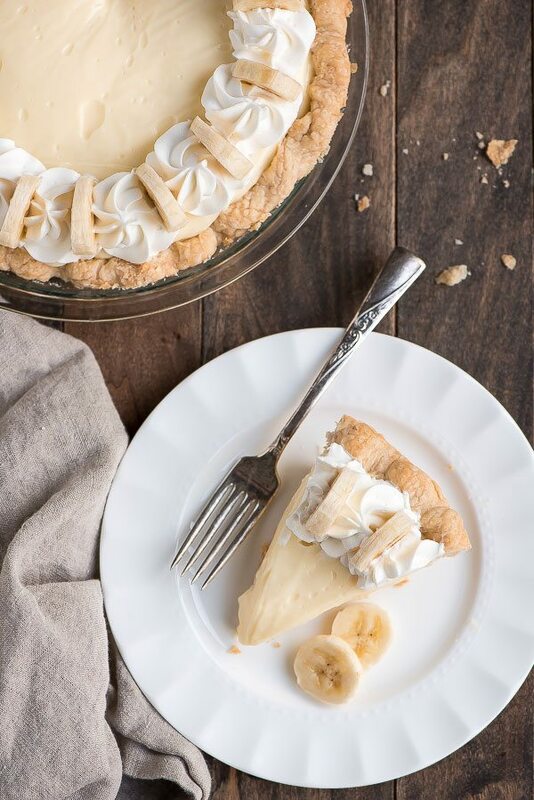 With a flaky crust, sweet cream filling, and sliced bananas, you’ll be in heaven! As a child I did not like pie. Like, at all. At Thanksgiving I would dish myself up a bowl of ice cream while everyone else ate pie. Well, my husband wasn’t too happy about me not liking pie so much. I finally came around to being willing to make him pie and then found that I actually liked it. Making a pie is a process, but boy it is worth it. If you do want to cheat you can always buy a pre-made crust, but anything made from scratch is gonna be better. 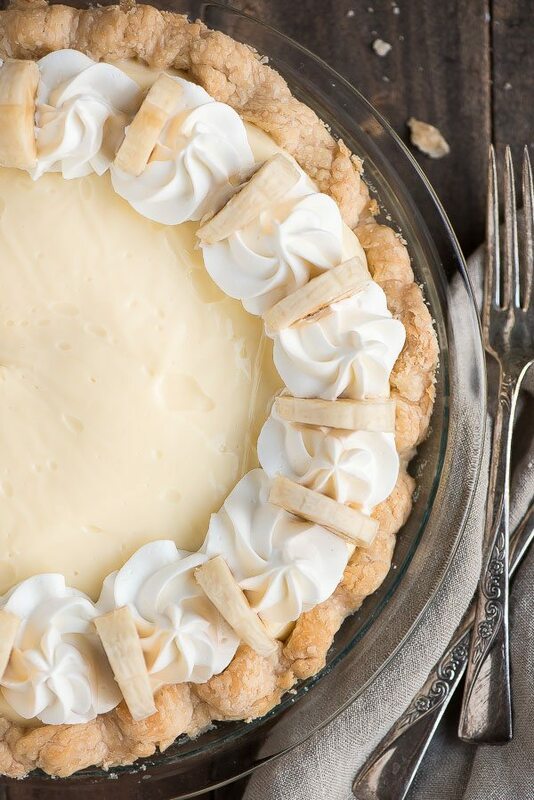 This flaky crust is the perfect shell for the silky cream filling. The filling for this pie is simple to make and contrary to what I thought, has no mashed up banana in the filling. There are only about 3 bananas used in the whole pie. 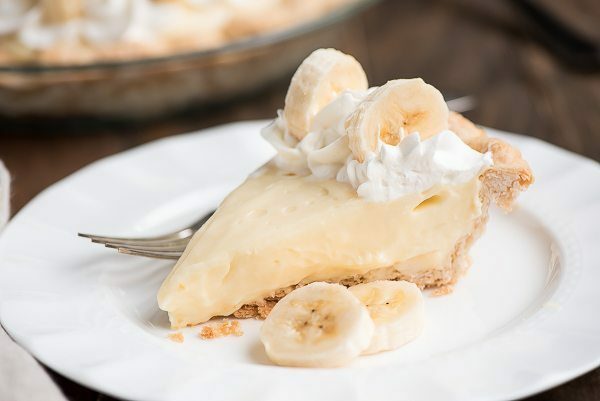 There is a layer of banana slices right on top of the crust with the filling on top and then sliced bananas on top of the pie for decoration. 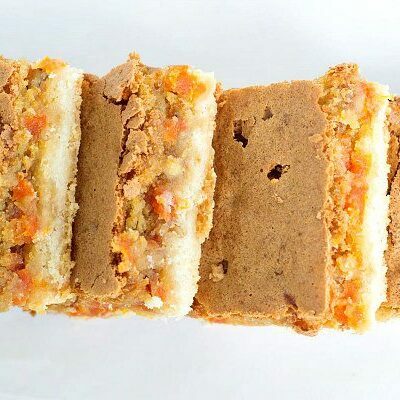 The filling is a sweet vanilla flavor and is as smooth as silk. Divine! 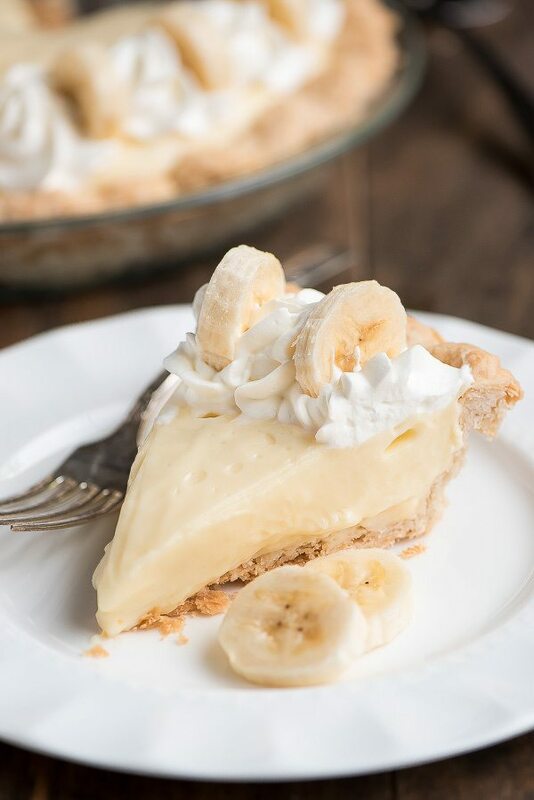 This Banana Cream Pie is sweet yet also refreshing since it’s served cold. It’s great for the summer but I’ll take it any time of year. 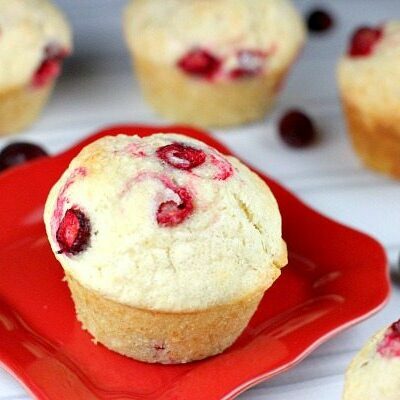 Plus, all of the ingredients are simple so it’s a pretty inexpensive dessert to make for a dinner party too. Enjoy! Mix the sugar, cornstarch and salt in a 3 or 4 quart saucepan. Add the milk and cream and cook over medium heat until smooth and thick, stirring constantly with a whisk. Add a couple spoonfuls of the hot milk mixture to the egg yolks, whisking quickly so the liquid does not cook the egg. Whisk in another couple of spoonfuls. Then add the egg mixture to the rest of the warm milk in the pan and cook another 2 to 3 minutes, whisking. Remove from heat and add the butter and vanilla and whisk until smooth. Pour the filling into a bowl and then cover with plastic wrap, pressing it down on the surface of the custard so a crust doesn't form on top. Let cool to room temperature. Meanwhile, make the pie crust. In a medium bowl, combine the flour and salt. 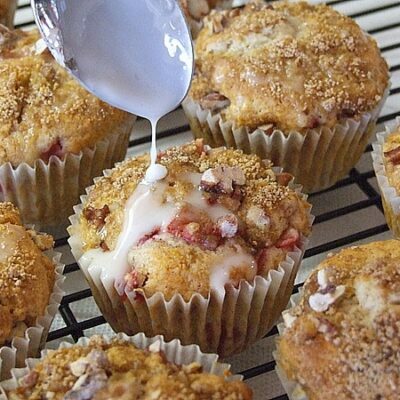 Then cut in the shortening with a pastry blender until pea-sized crumbs form. Add the cold water 1 tablespoon at a time, mixing with a fork between each. 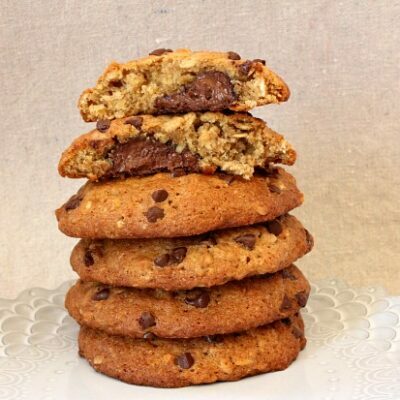 You know you have the right amount of water when the dough begins to form a ball that easily holds together. Wrap the ball in plastic wrap and place in the fridge to chill for 30 minutes. Roll the chilled dough out in a circle and place in a 9-inch pie plate. Press into the bottom and sides of the pie plate and then flute the edges. Prick the crust with a fork and bake at 375 degrees for about 40 minutes or until lightly golden. Cool completely. When the filling is cool and the pie crust is cool too, slice 2 bananas and place them in the bottom of the pie shell. Pour the filling on top. Cover the pie with plastic wrap and chill in the fridge for at least 2 hours. Beat whipping cream and powdered sugar together on high until stiff peaks form. Top the chilled pie with whipped cream and bananas just before serving. Why didn’t your husband learn to make his own pies?